Vintage 2018 was interesting, challenging, and ultimately rewarding. Lots of humidity in spring made for difficult conditions in the vineyard, some farms losing all of their fruit. It was of great benefit to be spraying my own vines, quick response to heavy weather got us through unscathed. When the summer turned dry, it was really dry, which was for the best this year. And after a few hot days in early January the rest of the summer was reasonably mild. A strange combination of odd weather has resulted in some very concentrated wines. By comparison slightly bigger wines than the elegant 2017 vintage. Yep, I'm writing this after the 2018 vintage is finished. Better late than never I guess. 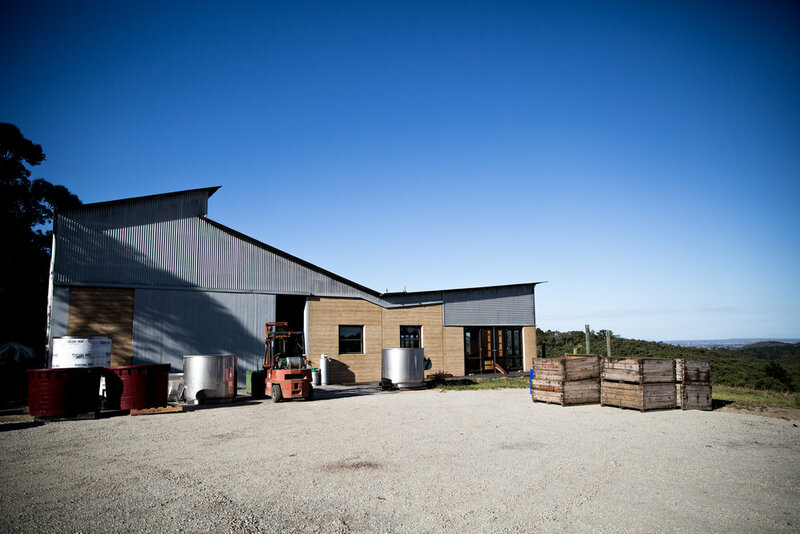 Vintage 2017 was the first year of formally leasing the winery, pic below, not a bad place to work. The winemaking work was relatively straightforward in 2017. The weather was near perfect, the crops were moderate, and the fruit all arrived at well spaced intervals. If only it were always that easy. Beautiful wines have followed, elegant Chardonnay and Pinot Noir, full of life. The Harriet's Vineyard wines are particularly well balanced. The Cabernets are again made in a fleshy generous style that needs no cellaring. This has been a weird and wonderful year. The weird: poor flowering, thanks to some wet 'n' wild weather in November 2013, led to very low crops, particularly in Pinot. This was followed by a very dry and consistently warm Jan/Feb. Some more wonderful: my 2013 wines sold really well in the trade thanks to my professional and energetic distributor, Libby Bentley. Thanks to all those who enjoyed the wine, both out and about, or via my web shop, you've all helped generate the content for the next paragraph. Some weird and wonderful: as of December 2014 I'm going to be leaving the day job to work on my wine full time. I'm leasing a small winery in the upper, upper Yarra, Limbic winery. It's actually in Upper Pakenham, three minutes south of the official Yarra Valley border. I'll post separately on this once I've fully moved in. Only hail, frost, drought, phylloxera, bad winemaking, disease, poor management or bushfire can stop me now. And another thing: I'll also be engaged in some part time work for these guys: [www.fourpillarsgin.com.au] Very excited to be involved in this, no matter how small that involvement may be. And 1 more: I'll be exhuming my other side project [www.redleafphotography.com.au] and hopefully getting busier with this, if you need any photos taken get in touch. Apologies, this post rambles a bit, I was enjoying a Fighting Gully Road Aquila and got carried away. If you just want to buy the stuff this is where you go: NewCab14. It is a new wine, and while it is the start of a new project for me, it is also the culmination of many years thinking about Yarra Cabernet. I've made wine in this vein for myself before, but only in tiny quantities. This cabernet is as far from the claret style as possible. Somewhat inspired by Anjou Villages Cabernets (Loire reds made with Cab franc and/or cab sauv), though this is made completely with carbonic maceration and released early in the style of Beaujolais. The fruit is from a 28 year old dry-grown vineyard in Kangaroo Ground. Cabernet sauvignon has as much expression and character as any variety in the Yarra Valley. 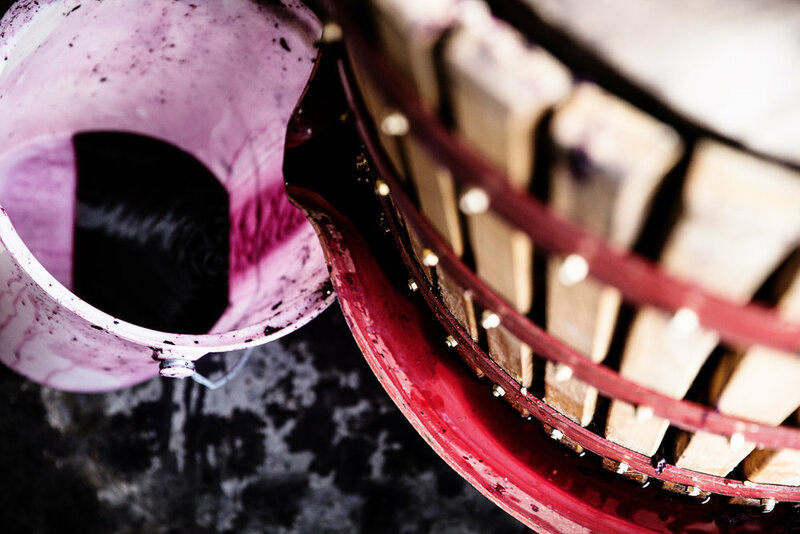 A lot of this character diminishes after a while in barrel, but the time in barrel is often necessary to soften the tannic nature of Cabernet. This version already has quite supple tannins thanks to the carbonic maceration. There is no preservative (sulphur dioxide, SO2, preservative 220) added, and no animal products used, largely to make a wine for some friends of mine who struggle to find such wines. I hope they're not alone! However, I'm not intentionally moving toward 'natural wine', the wine was inoculated for both primary and malolactic fermentation. I was going for freshness and early bottling, so an early completion of malolactic fermentation was necessary. While people have various reasons for being interested in preservative free wine, I was primarily interested in the flavour and structure of the wine. I often like the flavours in wine, particularly reds, before the preservative is added. Sulphur dioxide changes things; often for the better, but sometimes an interesting piece of the wine is obscured or lost. The goal was to capture the fleeting flavours that winemakers see every year, but rarely get to share. This is the type of wine you can only make for yourself. If I bottled a wine in this state (without preservative) for an employer I'd probably receive a written warning, or worse. I have heard a quote that preservative free is the winemaking equivalent of climbing everest without oxygen. While this may be overly dramatic, the preservative is a crutch we rely on for most wines. It's made for early drinking, and with no preservative I have no idea how long it will last. Enjoy it young. The predominant Cabernet clone in the Yarra is SA125, and most of my experience with cabernet has been with this clone. It is widely considered the best clone in the Yarra for claret styles. The clone at the Kangaroo Ground vineyard appears to be different. It grows less upright and seems to have more rounded leaves. The most interesting feature is the flavour, in particular the underripe or leafy components. The less ripe flavours in SA125 are typical sauvignon; pyrazine or capsicum. The less ripe components from this vineyard are tobacco and earth. Closer to the Cabernet franc I'm used to. Cabernet sauvignon is a cross of Cabernet franc and Sauvignon blanc, so I guess it's no surprise that some clones express more sauvignon, and some more franc. An aside, I find the varieties easier to pick from their less ripe components. Cabernet sauvignon: capsicum, cabernet franc: earth/tobacco, Merlot: marijuana (at least thats what I'm told), Shiraz: pepper. The fruit was harvested on 23rd March and de-stemmed into small fermenters. The berries were left whole as much as possible, which is quite effective with Cabernet as the skins are quite tough and the berries robust. An inoculation was made to the small amount of juice in the bottom of the fermenter. The intention was to get a quick start to fermentation so the carbon dioxide would protect the wine. I was comfortable with some aldehyde forming toward the end of ferment, but was trying to avoid early formation of volatile acidity as much as possible. The fermenters were then covered and largely sealed, and left that way for 7 days, followed by pressing to tank. Two rackings followed prior to bottling in June. The first Pinot is very aromatic, cherries, cranberries, fresh cream and an underlying grassy note (there was a small amount of whole bunch in one of the ferments). The same flavours follow on the palate, which is quite rich, but held together by a fair wallop of savoury tannin. Definitely more of a food wine than a glugger. I wrote these notes while chewing on some Chèvre on strong rye sourdough (pictured), worked well. Tough job. This Pinot is quite a departure from those I’ve made previously. The house-style I had been making involved quite specific fermentation techniques and long term barrel ageing. This can work well, but isn't suited to every vineyard or vintage. The style of this release fully embraces the change in direction, acknowledging the reality that it will mostly been consumed over the next year or so. It also embraces a freshness and concentration of fruit which, I believe, is well suited to Yarra Valley Pinot. Yarra Pinot is of grown on soils, and in seasons too warm, to realistically emulate the great wines of Burgundy, so why bother? Time to forget that, and make wines that are a pleasure to drink, and are proudly Yarra Valley. 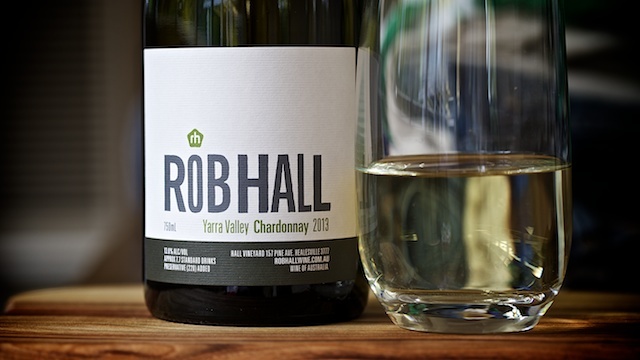 The inaugural Yarra Valley Chardonnay reflects the 2013 vintage. It was a warmer year which brought richness, but much of the blend was picked early, keeping it fresh. The nose has citrus, nettle and nectarine. The palate is rich, but full of fresh flavour, and balanced by a bit of tang at the finish. There is very little oak influence, mostly matured on lees in older barriques. Chardonnay, like any wine, is all about balance. Though in the case of Chardonnay finding the right balance is a matter of taste, and prone to fairly wild swings in fashion. Chardonnays I made 10 years ago were considered lean, angular, and acidic. The same wines today would be considered fat and blowsy by the vin-eratti. I’m not going to be drawn into the trend of making Chardonnays with Riesling-ish acidity, but something needs to hold the palate together, keeping it from being too fat. The key for me is phenolics (the tannins of white wine is the easiest way to explain it), which give the wine structure, and cut through fatty food in a more elegant way than acidity in my opinion. Anyhow, very happy with the first release, I hope y’all enjoy plenty of it! Deciding on a name to slap on the labels was torture. Not exactly water-boarding, but it did cause anxiety. Label design is another thing altogether. Thankfully my designer was part marketeer, part shaman, part psychiatrist, and lays out text like an old-school concreter (solid as rock and smooth as silk). Too much? Anyhow, he managed my anxieties as he would have with many clients before me. Holding my hand throughout, all the while breaking down my stubborn fantasies of a label that has the power to sell vinegar to pinot-philes. He was given a fairly restrictive brief for the design. A lot of the package was already in my head: no back label, gunmetal grey screwcap (it’s an off the shelf model), no foils or embossing on the label (they cost more and often make labels look cheap). I wanted it to be fairly bold, but not too elaborate. With not much to work with, the designer sent through 20 separate designs, based around five or so concepts (some shown below). I put these designs to an out-of-focus group selected from my contacts list. The initial response from the first few respondents was predominantly options 11 and 18, neither of which I cared for. I figured I had accidentally, randomly, selected my friends who have no taste. So I sent the 20 options to another group, who surprised me, going the same way. I needed to consult someone who had moved on from Howard-era design, and so I turned to two people who’s taste in all things visual is usually too cool for me to understand: my sister and Marcus Satchell. You can guess what they chose. At this point I could either follow the masses and choose one of the popular options, or go with my gut. I could at least console myself with the fact that of the two respondents (out of 25) that had chosen my faves, one is a St Kilda socialite, and the other is a prominent Sydney-based sommelier. That’ll have to do. In the end we settled on a combination two designs, with a final tweak from the design office, adding some wonky typesetting to the main font. The wonky typeset, combined with the off-center logo, was where we settled. I like the logo and it’s position, conjures an image of a clown hat, helmet, religious motif, or a dunces cap. And reminds me of one of my favourite Tom Waits quotes: ‘At some point you have to ask yourself, am I really eccentric, or am I just wearing a funny hat?’. In my case it’s definitely a funny hat, but I’ll wear it with a grin. Some textured paper gives it a warm feel. At the time of printing I was content and hopeful, I’m excited by it now, a better result than I could have imagined at the start. Sincere thanks to all involved.